We at Healthcare Information Services (HIS) would like our clients to be aware of the new Managed Care/Commercial Insurance Contract Evaluation Guidelines, published by the American College of Radiology (ACR) and the Radiology Business Management Association (RBMA), and how they may affect you. 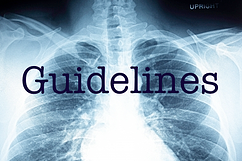 These guidelines are intended to make it easier for all sides to evaluate and negotiate managed care contracts involving radiology or radiation oncology. The guidelines contain definitions and strategies for negotiating and implementing managed care contracts. Geographic Practice Cost Index (GPCI) - these Medicaid established cost indices are intended to reflect the cost to a physician of providing services in different locations. Hospital Outpatient Prospective Payment System (HOPPS) - this sets a cap on the fees for outpatient services based on the technical particulars of each procedure. Multiple Procedure Payment Reduction (MPPR) - certain rules have been implemented that limit the amount of compensation given for multiple procedures. Relative Value Units (RVU) - published by the Centers for Medicare and Medicaid Services (CMS) at least once a year, these are taken from a compiled list of National physician fees for almost every procedure. Tying reimbursement to Medicare allowables - while this is a commonly accepted way of evaluating reimbursement, the guidelines warn against using them as the only reference point because these numbers can change from year to year. Payment arrangements - the guidelines caution against contracts that offer "flat fee" of "global payments". This is a payment where the location in which the exams or procedures are done determines the reimbursement rate. New or changed plan acceptance - be sure that the contract specifies which plans you are agreeing to and that you have the option of opting out of any plans that are changed or created within the term of the existing contract. Reassignment of contract - be sure that the contract you negotiate specifically forbids the reassignment of your contract to another company without your written consent. Short term vs. long term contracts - the advantages and disadvantages of short and long term managed care contracts are discussed. The guidelines also lay out clear language on the methods that should be used to protect both sides in the instance of the early termination of a contract, either with or without cause. HIS can make dealing with and understanding the new guidelines a whole lot easier for you. We are committed to being a leader in revenue cycle management, billing service and consulting for the healthcare industry. We at HIS understand that your first priority must be the welfare of your patients but that sometimes this may lead to a lack of attention being paid to the business side of your radiology practice. HIS ensures you regular and correct payments from Medicare and other third party insurance companies. Everybody wins when you let us at HIS handle the intricacies of your billing procedures and your bottom line. Contact one of our Healthcare Information Services representatives today and see how we can keep the business side of your radiology practice happy and healthy too.